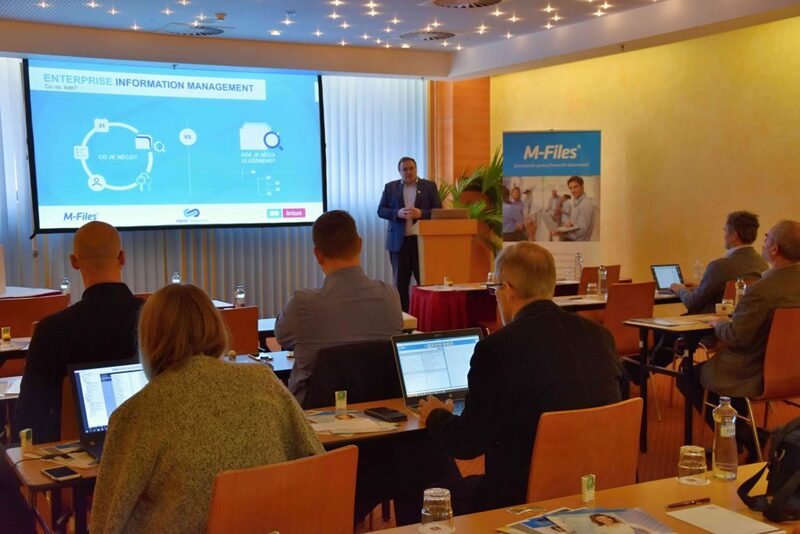 Jan Sedláček has opened the event with the topic of modern ECM systems vs. legacy solutions in companies, such as folder structures. 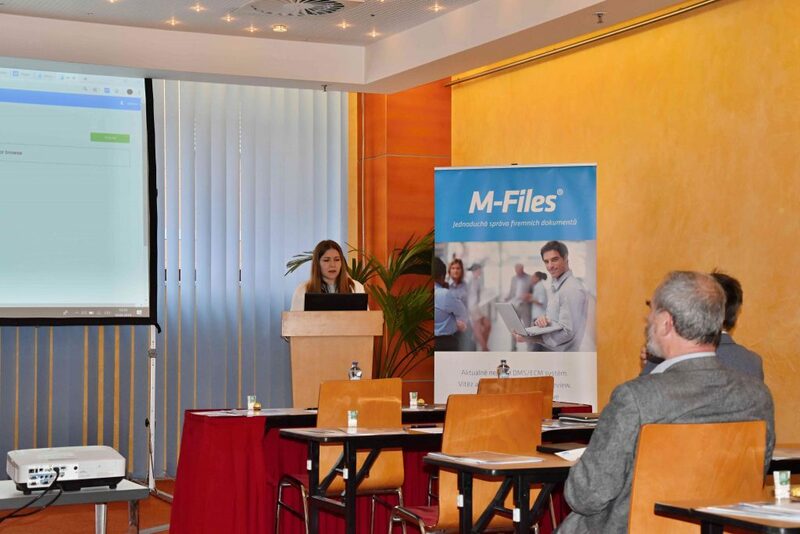 Kristýna Dryáková has focused on information chaos in companies and its elimination through M-Files on the example of Contract Lifecycle Management. 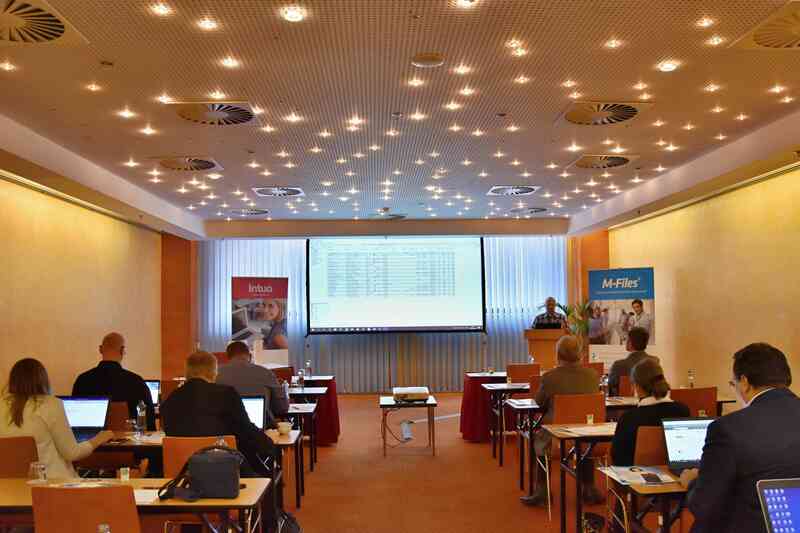 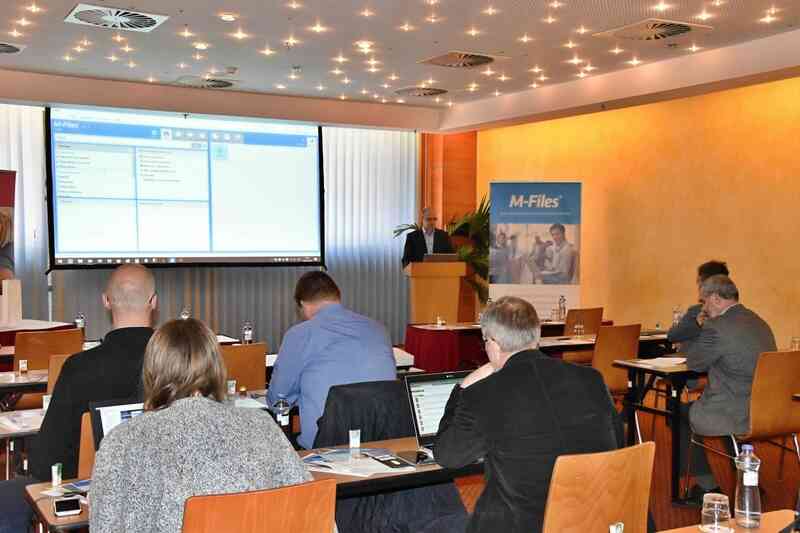 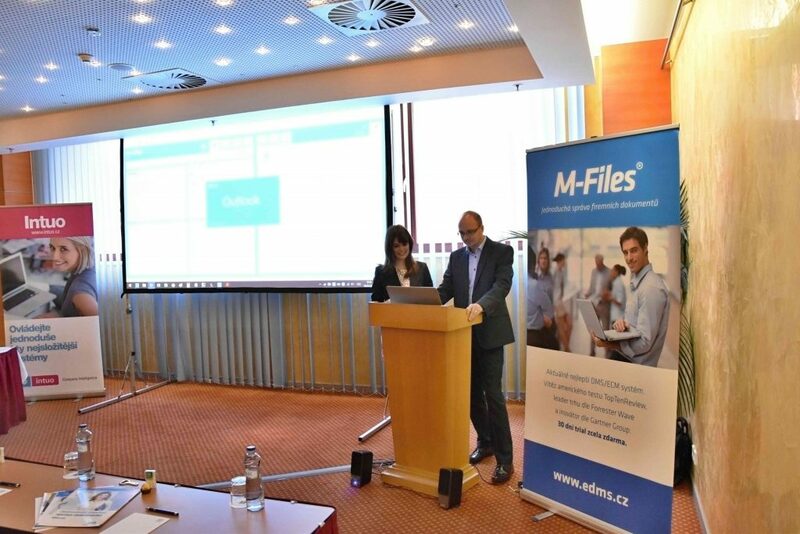 David Páter has made a live demonstration of modern ECM system M-Files as well as the revolutionary tool Intelligent Metadata Layer. 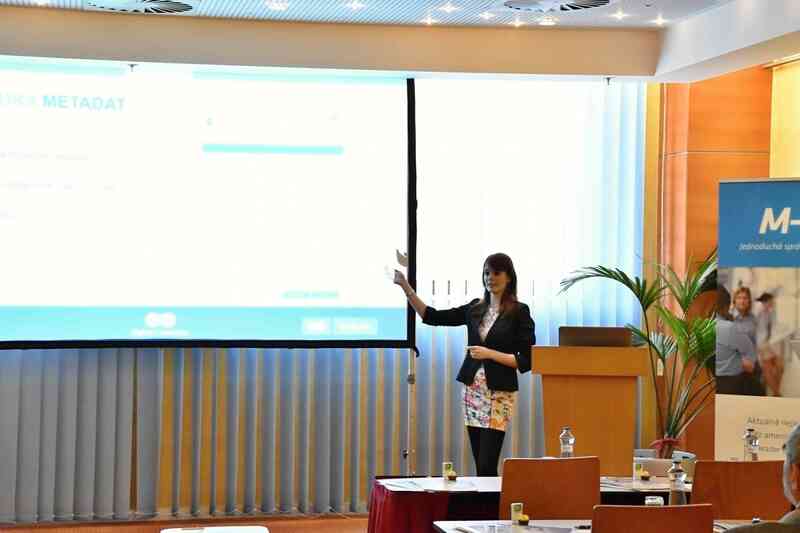 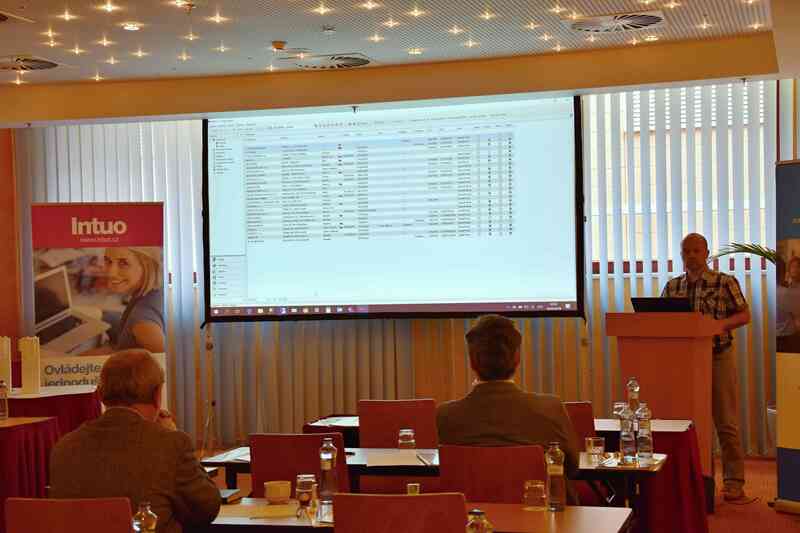 Margarita Pasazhennikova has introduced the effective tool for intelligent data mining Ancora on the example of invoices. 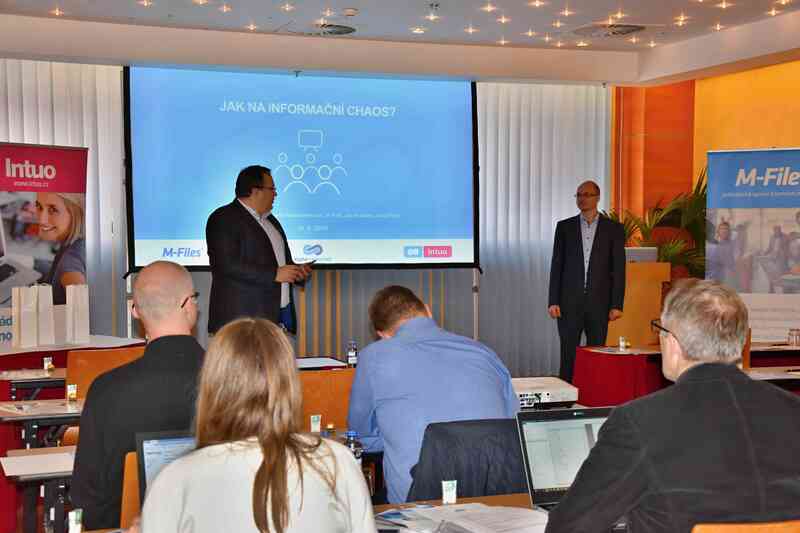 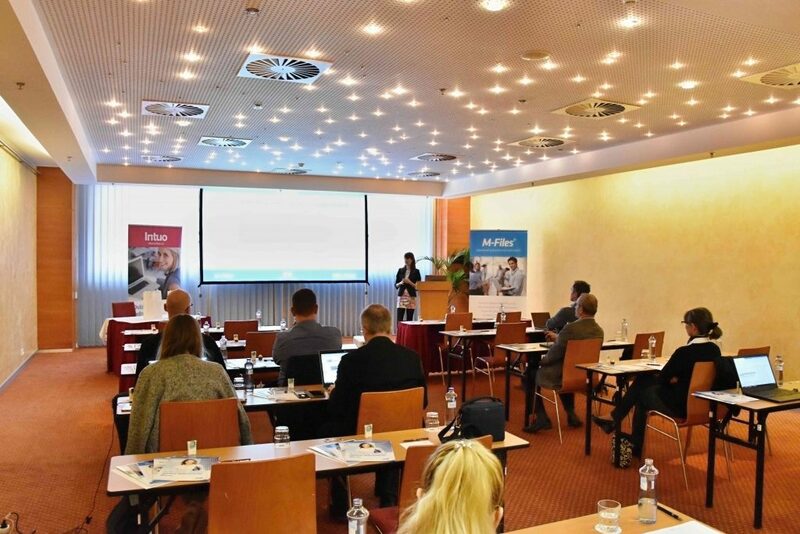 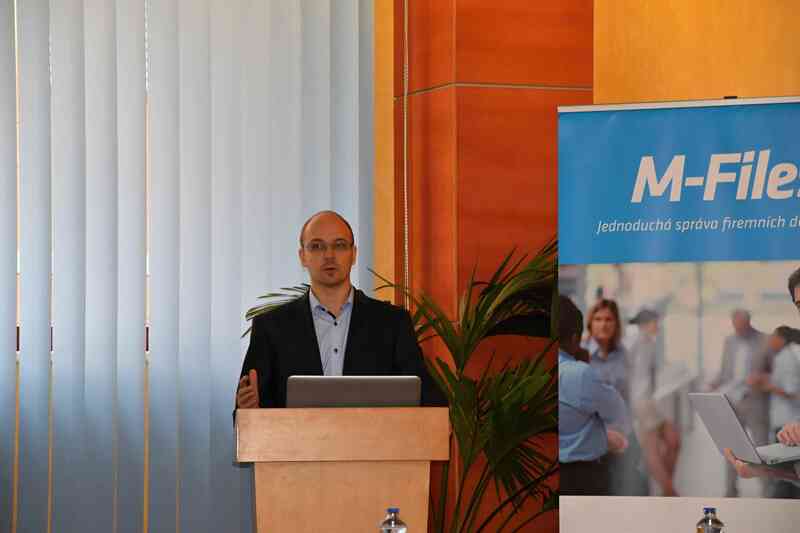 Jiří Porš has continued with the demonstration of CRM system Intuo – Company Intelligence, a tool for effective Business Process Management in companies. 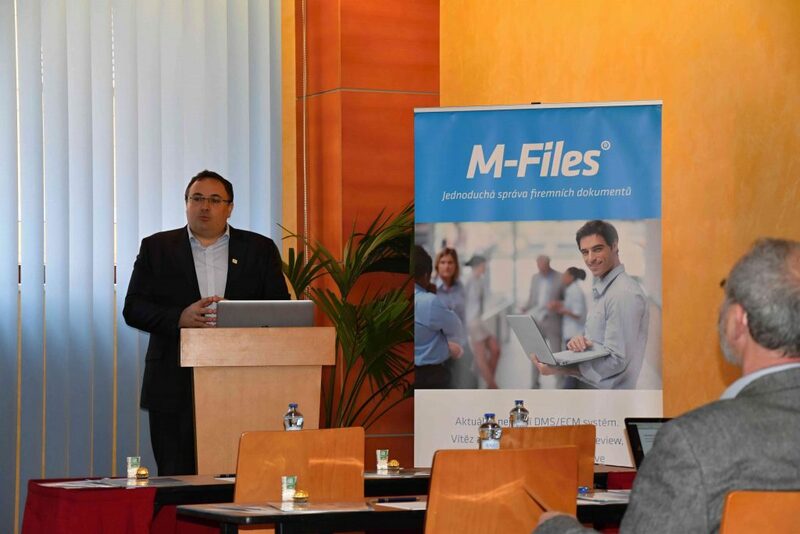 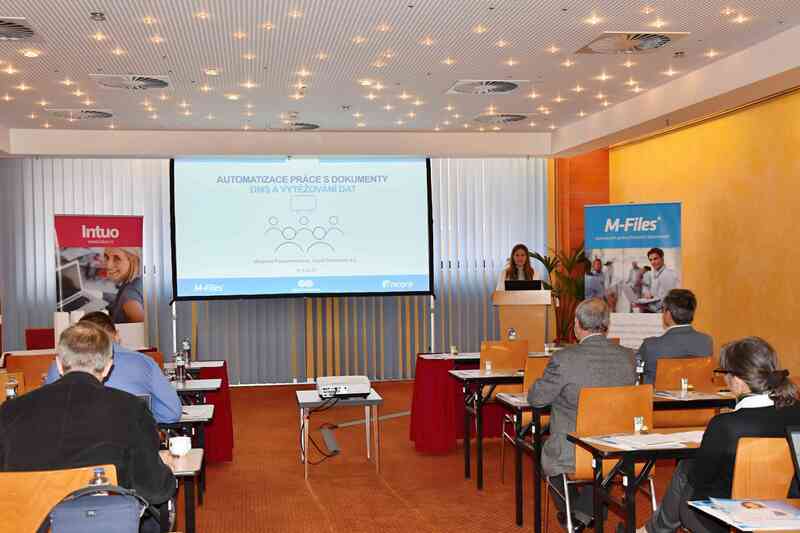 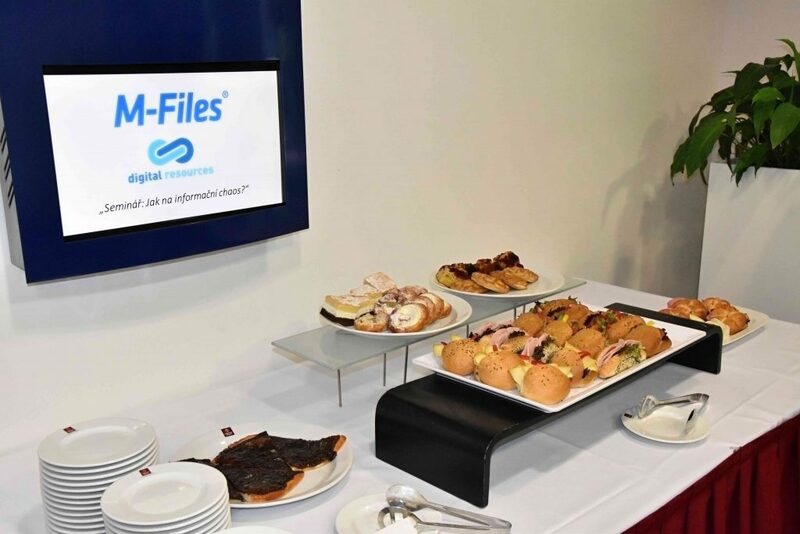 At the end of the event, there was a demonstration of the M-Files mobile app followed by guest queries and a prize draw. 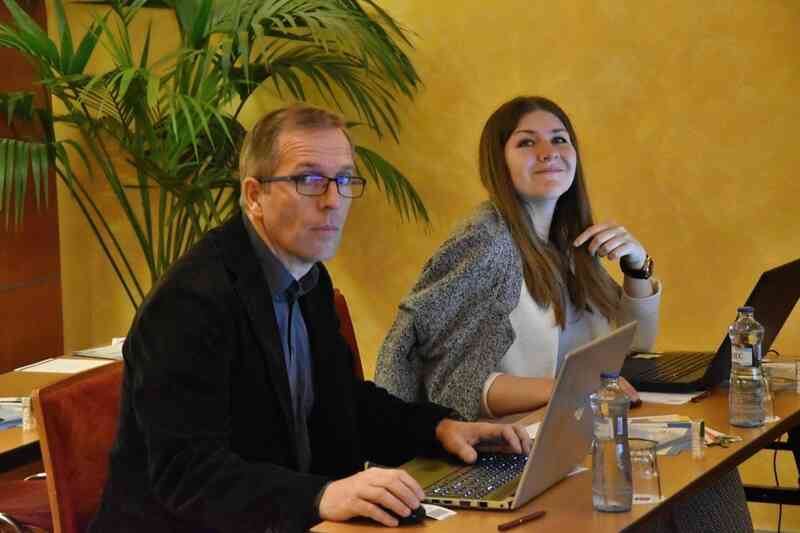 Two participants received 2 VIP tickets for the Cocktail at the Finnish Embassy’s Residence, which will take place on April 25. Congratulation to the winners and many thanks to all participants!